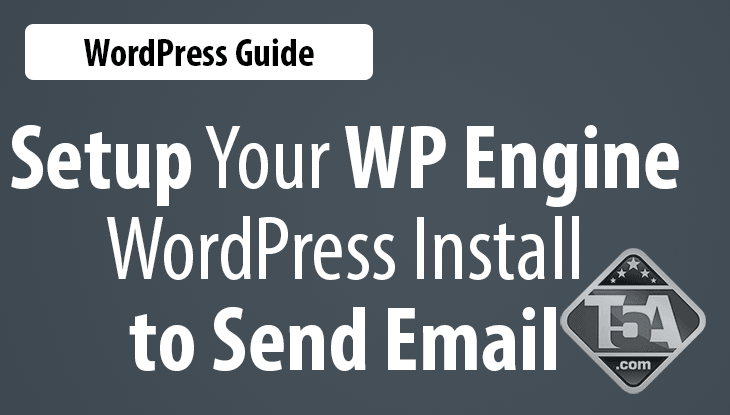 Did you transfer or install WordPress on WP Engine and need to figure out how to configure your site to restore the email functionality? We touched on this in our WP Engine review, however, we thought we’d create a separate guide for those that have already made the switch and in panic mode because they aren’t getting their contact form or comment alert messages. We faced this exact scenario, hit up Google Search, spent hours in research and testing, and then we figured out this solution which worked the best for our needs. We recommend Easy WP SMTP because it works 100% of the time for us and our clients. We’ve tried 5 plugins to accomplish this task and this plugin did the job perfectly, every time. We only work with the best and in this case, the best is Google Apps for Work. You can register your account and try their service free for 30 days to make sure it is a good fit for your needs. The best part about Google Apps is it uses the familiar and popular Google Gmail service to deliver your emails. This means, you can configure your domain email just like you can with Gmail, including forwarding, signatures, filtering and, of course, take advantage of their powerful spam filtering features. The cost is $5 per month or $50 per year for one user. Have multiple emails? Don’t panic. You can setup email aliases with your Google Apps account so that all of the emails are delivered to a single account. If you need more than one account / user, you can setup additional accounts for the same $5/$50 charge. Click the cog in the upper right. 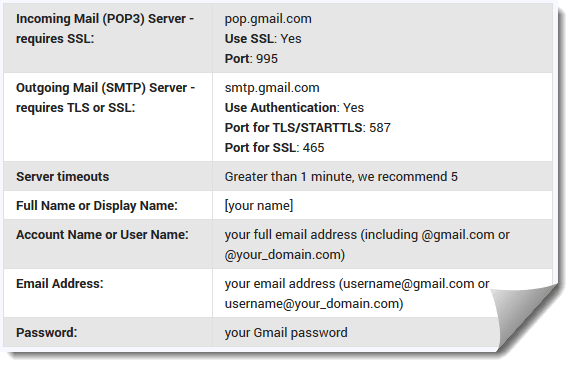 Once you have the plugin installed and you have your Google Apps configured, you now need to configure Easy WP SMTP to work so that it can send emails to you. In your WP dashboard, go to Settings > Easy WP SMTP and you will find the screen we show here. If you decide to use Gmail, take advantage of the settings that work best for us in the screenshot we provided to the left. Once saved, use the “Testing and Debugging Settings” section on this same page to send yourself an email to make sure everything is working correctly. That’s it! Now you’ll receive any messages generated from your WordPress website including any contact form submissions, WP upgrade alerts, new comment alerts and more. If this guide helped you, please leave us a comment and let us know. Of course, consider sharing this on social media and your website to help support us. Are you having a problem with using /%category%/%postname%/ as your permalink structure when attempting to remove the /category/ base? 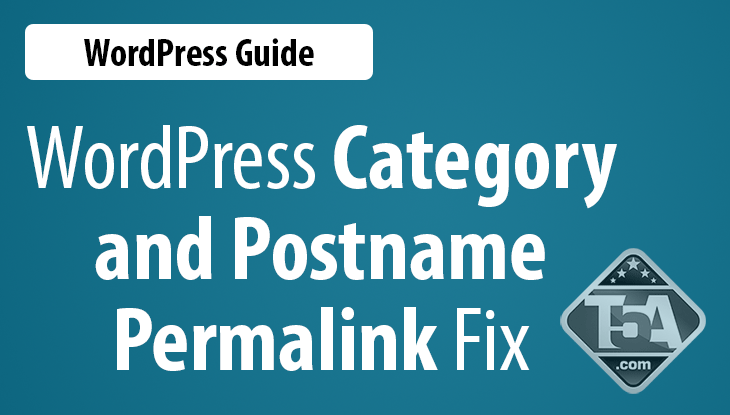 As of the time of this guide writeup, it is still a problem in WordPress 4.2.1 that has dated back to WordPress over 8 years ago according to our research. If you take advantage of a little hack in your permalinks by adding a . under category base, you may notice that your page 2 and beyond will show up as a 404 error. That’s not going to work, so you have a few options. Change your permalinks to not use /%category%/. Read on and use our fix to correct the issue. There’s an older free plugin available to correct this called WP No Category Base. Simply install that plugin then go to Settings > Permalinks and remove the “.” from the Optional “Category base” area and you are golden. There’s no additional configuration page or settings that you’ll have to mess with. Note: This plugin hasn’t been updated since July 29th, 2012 at the time of this guide, yet, if you read the plugin reviews, you’ll notice that people are still using and recommending this plugin for those having this 404 issue with using a category permalink structure but removing the /category/ out of their URLs. What’s really nice about this plugin is the fact that it will also redirect 301 the old /category/ links to the URL structure you want to use. Does not work with certain foreign languages according to their support forum (encoding issue). Does this fix your problem? Leave a comment below and let us know. In our WP Engine review, we explained there is an easier way to migrate your files from your current web hosting provider to WP Engine besides the methods they explain in their migration checklist. Above, you will find the video recorded by reviewer Scott Buehler that shows you exactly how to do this in cPanel. Thankfully, if you happen to be on a host that uses Plesk or any other control panel, they are highly likely to have a file manager that you can use to accomplish this same task. The reason you want to compress your wp-content folder into a zip file is it guarantees there will be zero file corruption or missing files during your migration. If you have to download all the images and files one by one using FileZilla, you will have to carefully watch the status screen for red errors about file transfers not completing. If you see them, those will be files that will likely be missing or corrupt, not good. For those of you that have a cPanel web host, usually you’ll just need to add a /cpanel to the end of your domain name. If that doesn’t work, then head over to your web host’s control panel and find the cPanel access link from there to get where I started this video. Once you gain access to the file manager, you simply right-click on wp-content and click the compress option as shown. Additionally, there is a “Compress” icon on the file manager toolbar should you need it. Depending on the size of your website and your sites’ server speed, it will take a few seconds up to a minute to complete the process. After that, download the file from your server. upload it to WP Engine and you are good to go. I briefly showed you how to download the file in FileZilla. 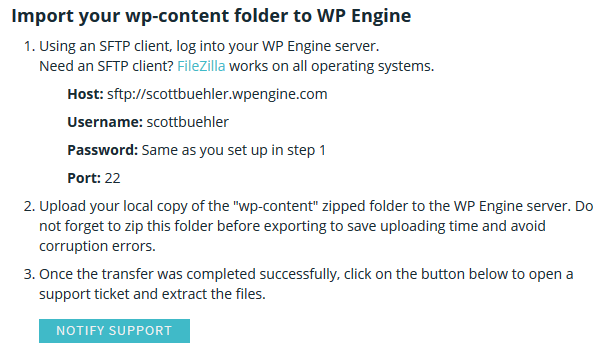 It’s the same process to upload, simply login to WP Engine via your SFTP instructions and click and drag the file from the left panel (your computer) to the right panel. Once that file transfer is completed, click on the green Notify Support button in the migration checklist, as shown above, to alert WP Engine customer service that you file is ready to be extracted. Genesis and Thesis are two of the most popular WordPress Framework systems. Genesis was developed by StudioPress and Thesis was developed by DIYThemes. These two developers are highly respected and they also developed several plugins available to their customers. Here are just a few of their best membership plugins. We found the following plugins available for StudioPress Genesis framework customers. Genesis Simple Hooks – With this membership plugin installed you can easily create your new settings page for Genesis that will allow you to easily insert codes whether it’s HTML codes, PHP or shortcodes then attach it to action hooks that you can find in many parts of the Genesis Framework. This makes creating, editing or adding functions to your WordPress theme a breeze. SEO Data Transporter – This membership plugin for Genesis is a real gem. You no longer have to worry about transporting your SEO data from one theme to a new theme. This used to be a very tedious task but with this plugin you no longer have to worry about the different formats of data. Genesis Simple Edits – Editing post info, footer and post-meta areas of your sites are now quick and easy. You don’t need to be an expert programmer to edit and improve the look of your site. The name of this membership plugin says it all. It’s simple editing even for those without any web designing experience. Social Profiles Widget – This Genesis membership plugin is quite useful especially for those who want to connect their site with their own social networking pages. You can quickly share links to your Facebook account, Twitter, YouTube, Digg, and any other social profiles so users can easily get in touch with you. All you need to do is install this plugin, drag it to the sidebar then insert all the icon links of your choice. Thesis Import and Export – This Thesis membership plugin is a very useful one because it lets you import your Thesis settings so you can export it later on after installing a new theme. This used to be a complicated task but with this plugin you just need to download all settings to the Thesis-design file, Thesis-settings file and the Open-hook file. After customizing your layout or changing your site’s skin design you can then export all your data and settings without any problem. Just make sure you don’t click the restore link before saving your backup files to avoid any lost of data. 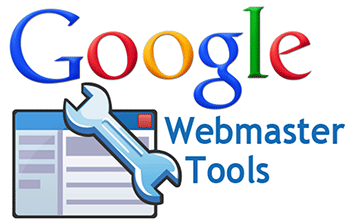 Google Sitemaps XML – With this membership plugin installed, your site will automatically send out sitemaps to search engines such as Google, Ask, Yahoo and others. It’s a great way to make your site rank up. 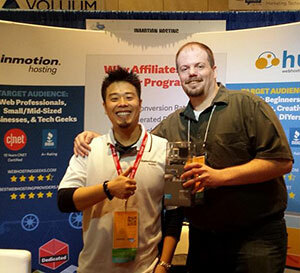 This membership plugin is free to download so it’s a must-have. Math Comment Spam Protection – Many WordPress blogs are now plagued with spam comments. It’s great to have a lot of comments on your blog entry but what you don’t want are those auto generated comments. With this Thesis plugin, you won’t have to worry about that. This is more reliable than captchas. Thesis OpenHook – With this Thesis membership plugin you can easily customize your site even without having the knowledge of how to handle WordPress hooks. There are a lot of membership plugins to choose from either for Genesis or for Thesis. Genesis has an advantage of having several plugins available that are also developed by StudioPress which means that when StudioPress creates an updated version of Genesis, all these plugins will become compatible to the new version. As for Thesis, there are countless third party developers offering great membership plugins that you can download and easily install. 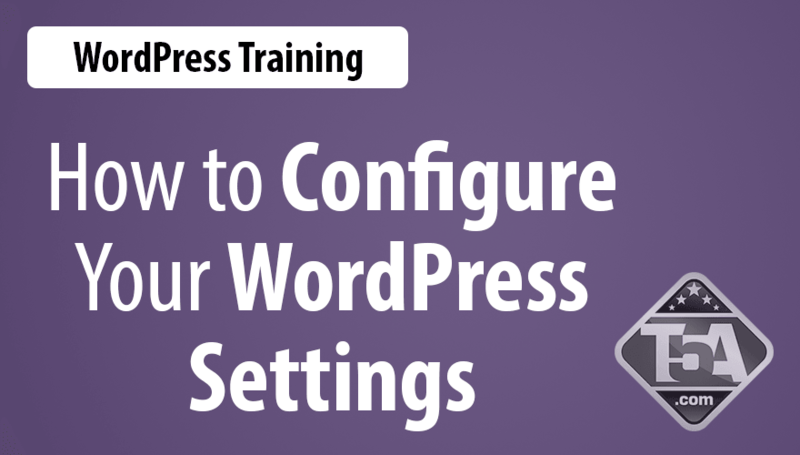 Choose the plugins you think would make it easier for you to manage your WordPress sites. It’s a must to get these plugins if you want to save time and energy in creating the codes yourself when you can do it in just a few clicks. One of the biggest hurdles people face when wanting to start their website is actually getting it started. There are thousands of people online willing to do it for you that cost more money than many people’s budgets and they end up frustrated, never to launch their dream project. The first thing they will do is look for guides that teach people how to install WordPress manually which can confuse and frustrate them. They simply do not want to go through that entire process and look for an easier way. 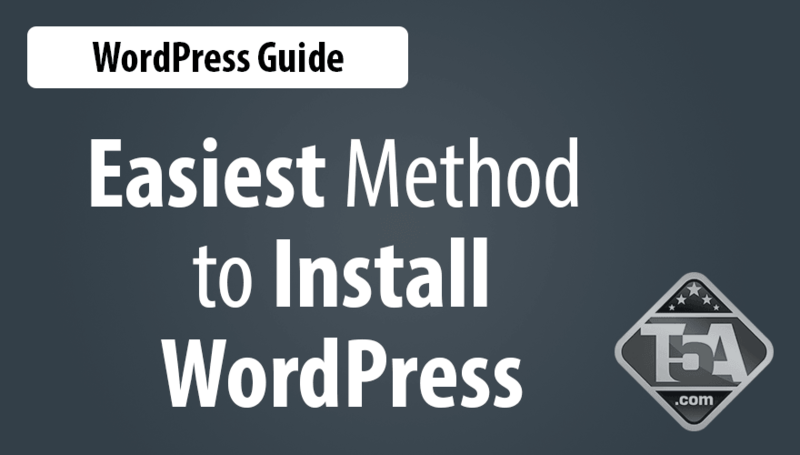 In this guide, we’ll walk you through some of the easiest methods to install WordPress that we’ve found that have left people saying “Whoa, it’s that easy!? !” Yes, it is that easy. Let’s begin, shall we? If you have no hosting yet and truly just starting out, you are in luck! What if we told you that there is a host out there that will automatically setup your WordPress with no effort on your end? All you’d need to do is order your hosting and click on a radio button that says “Install WordPress” and boom! Your brand new web hosting account will have WordPress automatically setup for you! Around the 3 minute mark in this video, I begin to show you the entire ordering process with InMotion Hosting web hosting. On the very last page of the ordering process, you’ll find the “Install WordPress” option. As long as you don’t miss that, you are golden. Sounds expensive Scott. How much? This is the best part. If you use our site and link below to order, you’ll get over 50% off their normal pricing. This is an exclusive offer that we have because I spent years getting to know their staff and company. Take advantage of it now! Your total price you will pay with no add-ons is just: $47.94 for a full year of web hosting. It’s absolutely crucial to understand that InMotion Hosting is not a discount cheap host out to cram as many customers on a server as possible making your site load slowly. Not at all, in fact, the price you’d pay without our link is more than double. Additionally, I use and trust their web hosting on several of my own projects. If you already have a web hosting plan, you may still be in luck to get WordPress setup and running with little hassle. Head over to your web host’s sales pages and look for mentions of anything that references an installer for the most popular Internet software. If you see that, you are in luck! If your web host mentions this, they probably have a 3rd party solution in their control panel called Softaculous or Fantastico. Both of these solutions will install WordPress on any domain setup on your web hosting plan in a matter of a couple clicks. The best part? You can take advantage of these services for free. 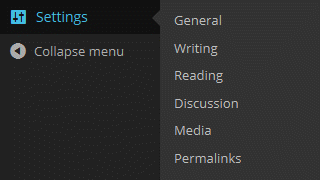 Once you find the Fantastico or Softaculous icon on your control panel (after logging in), you simply click that and you’ll see something similar to the image I shared with you in this section. Simply click the Install WordPress option, fill out your new blog’s information and let the installer do everything for you. Examples of popular hosts that offer this type of free service include Web Hosting Hub review, A Small Orange Review, SiteGround review, HostGator Review and Bluehost Review. These are just a small sampling of hosts that offer an auto-installer for WordPress that you can take advantage of. Lastly, if you have your heart set on a host that does not offer any of the solutions we’ve talked about on this page, we will do it for you! As long as you order your web hosting from our site, we will gladly setup your WordPress for you for no additional cost. All you need to do is copy and paste your hosting order receipt to us in our contact form and request WordPress setup and we will take care of everything for you. People that will typically fall into this category have chosen a much higher quality web hosting solution such as a VPS Hosting or even a dedicated server and they didn’t opt to pay monthly for Softaculous (which can be extremely expensive over the years of your plan). If you have any questions or comments about the process of getting WordPress setup for you, please leave it below. Scott is monitoring this post for any questions and will respond personally to anything you need. One of the most frequent questions we receive in our client work is about WordPress.com versus WordPress.org. Specifically, which version do I need? Why is one better than the other? What are the pros and cons of each system? What do you recommend? Both systems, WordPress.com and WordPress.org are confused frequently. 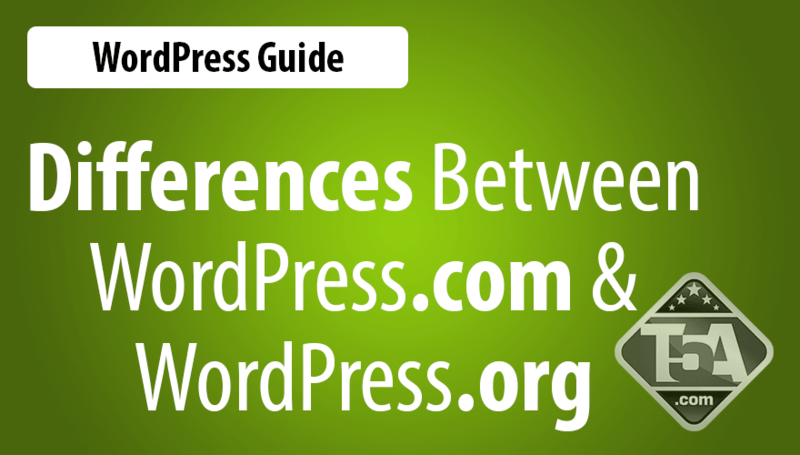 In this WordPress guide, we will go through both systems so that you will have a full understanding of each system to help you make an informed decision about which system is right for you. We want you to feel confident in your decision so if you have any questions at all, please feel free to ask in the comments section at the bottom of this guide. What is WordPress.com? The WordPress.com website is a commercial site that allows you to create and host a site for free. It includes the ability to use your own domain name, they provide the web hosting for you and they offer add-ons to enhance your experience. If you do not have a domain name, your website will use a subdomain on the WordPress.com website similar to https://tygrscott.wordpress.com where tygrscott is your username you select during the account creation process. 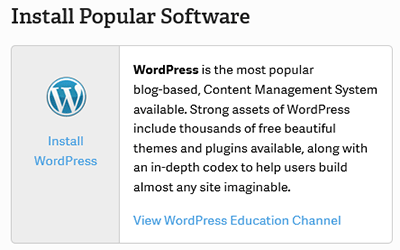 WordPress.com runs on the WordPress.org software which is important to understand. The WordPress.com website is simply a hosted solution that runs the WordPress content management system, however, if you choose WordPress.com, you will be locking yourself into a set amount of themes, set amount of available plugins and no way to customize your theme PHP files to enhance your website. The system, put plainly, is locked down. There are 350+ elegant WordPress themes to choose from in the backend. No worrying about hosting or site maintenance. Regular security updates and backups performed automatically. Available for free with limited features. Affiliate links and sponsored posts are allowed. The upsells to premium features are expensive. The free account only allows 3GB of space before requiring a paid $20+/year upgrade. Ads may appear on your website. A payment of $30/year is required to remove ads. Many of the most attractive themes are marked premium and require a payment from $20 – $150. Plugins? What plugins? You may not install or use WordPress plugins on WordPress.com without an expensive upgrade. Mapping a domain to your account requires a $13/year upgrade. Adding your own advertising requires “WordAds” which requires 25,000 pageviews per month to access. Even then, you will split your revenues 50/50 with them. Adding your own image ads from third-party networks is not allowed. Your site and content is subject to their Terms of Service. If you advertise on Google Adwords, performance tracking via Google Analytics is not available. Limited choice for eCommerce. WordPress.com Business users ($299) can choose between Ecwid or Shopify. Free Plan: As explained, includes 3GB space, create pages, posts, links and allows comments from your users. Some pages you create may surprise you with advertisements that cost money to remove. WordPress.com Premium: Cost – $99/year. This plan will include a domain registration of your choice, domain mapping, removal of ads, ability to host your own videos with VideoPress, an upgrade to 10GB of space and the ability to customize the design of your chosen WordPress theme. WordPress.com Business: Cost – $299/year. This plan includes all of the premium features plus it enables live chat with support specialists, enables access to all 50+ premium themes sold in the store and upgrades your storage to unlimited space. Offers access to eCommerce features from Shopify or Ecwid. WordPress.com VIP: Cost Starts at $5,000/month. Enables cloud hosting, enables 200+ certified plugins, hourly backups and is intended for high traffic websites that need scalability for optimal page delivery to all visitors. As you can clearly see, the easiest way to setup a website isn’t always the best way to go. At one point or another, you will need to upgrade your plan to enable certain features that are blocked on the free plan. Whether you need to add a domain name, remove ads, upgrade to a professional theme, or heck, customize the theme to your liking, you’ll have to dig out your wallet. Remember, with WordPress.com, your content is subject to their Terms of Service. If they designate your content to be spammy, includes threats, uses any form of spammy links to drive traffic, they find your content misleading, your site generates content via automated methods and many other reasons, your site will get shut down. By submitting Content to Automattic for inclusion on your Website, you grant Automattic a world-wide, royalty-free, and non-exclusive license to reproduce, modify, adapt and publish the Content solely for the purpose of displaying, distributing and promoting your blog. This license allows Automattic to make publicly-posted content available to third parties selected by Automattic. The above quote is taken right from their Terms of Service as well. Your content is not under your full control like it would be if you hosted your own WordPress website. Additionally, WordPress.com includes a reblog feature that allows any WordPress.com user the ability to repost your content on their website. What is WordPress.org? An open source content management system that powers 22% of the Internet now including T5A.com. WordPress.org is the website you visit to freely download the latest version of their software including installation files. 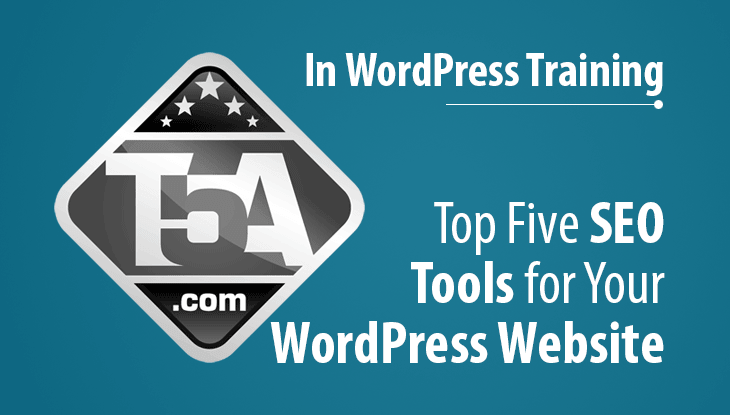 Almost all of the guides and tutorials for WordPress on TopFiveAdvisor is based on the WordPress.org software that is installed on your own web hosting provider. Many web hosts include access to an automated WordPress installer which means WordPress on your own web hosting is about as easy as WordPress.com. If you happen to have a higher quality VPS hosting service that doesn’t offer a WordPress installer, you can use our installing WordPress manually guide. It’s 100% free to use. You just need web hosting (see our InMotion Hosting review). You can upload and use WordPress plugins for which there are over 35,000 to choose from. You can use any free or premium WordPress theme. You can freely edit your WordPress theme files including making styling edits and more. You have full control over your content and you are only limited by the Terms of Service of your web hosting company. You’ll earn 100% of your advertising revenue. Custom analytics and tracking solutions available. eCommerce is best with WordPress.org with premium plugins. WordPress Network Install is available to run multiple blogs with on installation. You are only limited by your web host for disk space and bandwidth. Most hosts offer unlimited everything which eliminates any worry. No hidden fees or upgrade costs. You can use your own domain, add advertising and you can take advantage of your web host for customer support. Wide choice of eCommerce platforms without a $299 fee to access them. You’ll need to ask your web host for an SSL certificate but once installed, you can use any premium eCommerce platform that offers a WordPress plugin. Bring your own hosting. You’ll need to register a web hosting account. See our web hosting reviews for help choosing your web host. We recommend InMotion Hosting because they automatically but optionally setup your WordPress for free during your hosting order. You will need to upgrade your WordPress occasionally. This process takes a single click to perform and many minor maintenance / security updates are done automatically with the latest editions. You are responsible for your backups. There are plugins available that automate this task but we do recommend downloading your backups at least weekly. Many web hosts also will backup your data at least weekly. You’ll have to deal with security issues including dealing with SPAM. Your WordPress will come with Akismet that can be configured to help with SPAM. Tougher learning curve and additional research needed when choosing customizations, plugins, themes and more. At one point or another, you will need to learn how to optimize your website for page load times. Usually, this will require an upgrade to SSD hosting or VPS Hosting (see our KnownHost VPS SSD hosting review for a decent solution) and installation of a caching plugin. 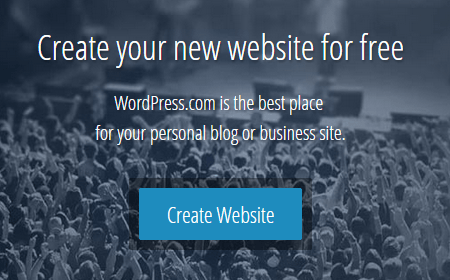 If you are just getting your feet wet, don’t care about making money from your website and just want to setup a quick personal blog, your choice is best with WordPress.com. However, considering all the fees you’ll likely face as you get more serious with your website, there may come a point where you’ll wish you started with your own hosted WordPress installation. Therefore, for the majority of viewers who are unsure, we highly recommend starting with the solution that gives you much more freedom, far less hidden costs and you are in full control of your content. The clear winner is WordPress.org. Of course, besides your web hosting, you’ll still need a domain name from GoDaddy (that link offers you their best domain registration discount) to use with your WordPress website. Ease of Use Factor: Whichever you choose is essentially the same as far as creating your content. Since WordPress.com uses the same software that you download from WordPress.org, you won’t have a different experience for the most part. The only difference, as we’ve discussed, is the fact that you’ll need to do additional research about which plugins and themes to use. Remember though, that research and testing is what makes WordPress.org magic because you are in full control. Did we miss something that you love about WordPress.com or WordPress.org? Be sure to leave a comment below and let us know. Of course, please consider sharing this guide on social media (sharing options below), in email, or with a friend. We’d appreciate your support! Many people that want to start using WordPress on their web hosting account are lost because they either have a web host that doesn’t offer an automated script installer like Softaculous or Fantastico, or they have a type of hosting such as VPS Hosting where these automated systems add an unnecessary extra monthly cost to their hosting bill (especially if they are using their VPS for private use). Below, you will find a high-definition video (1080P) that will walk you through the entire process of setting up your WordPress to work on your web host. Even if you do not have cPanel and instead have an in-house or Plesk control panel, you can use this video to guide you along. Did you know that InMotion Hosting includes a free WordPress setup with your web hosting order? See our in-depth InMotion Hosting review and click here to order. During the last step of your order, check the radio button to “Install WordPress” and you can skip this guide entirely! Interesting Note: This training video is the very first video created by Scott Buehler for T5A.com WordPress training. Remember to subscribe to us at YouTube to support our efforts. We record our videos in full 1080P resolution. To enjoy the full experience, click the icon shown in the image to the left to maximize the video during playback. 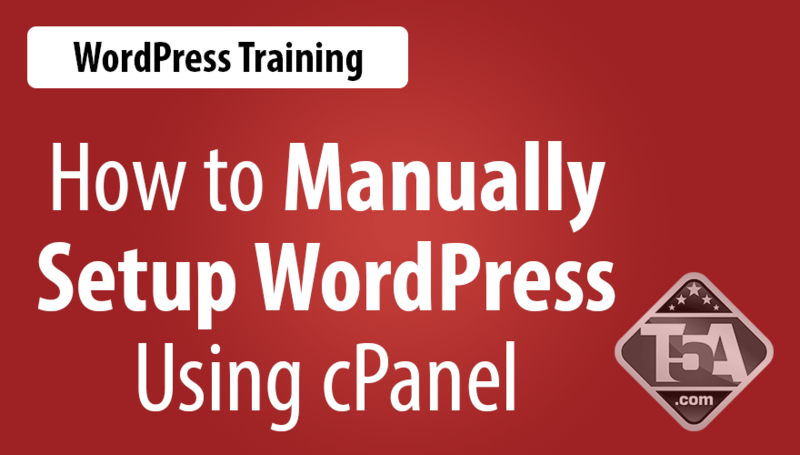 Below, you will find the steps to setup your WordPress manually using cPanel as explained in the video above. We like to provide a textual guide as well as video to cover both types of learning methods (we all learn differently!). I like to use the cPanel file manager to upload the files to the server because you just need to upload one file and then extract the files on the server. It ensures that all files are uploaded correctly, ensures zero corruption during the upload process and is the most fool-proof method I’ve found. The first thing you’ll need to do is download WordPress. From that page, click the blue “Download WordPress” button to download the latest version. Be sure to download the file to a location you can remember such as the Windows desktop. Windows 7 and higher include native support for zip files. You can double click the file and use the “Extract all files” button in Windows explorer or if you have software such as WinZip or WinRar, you can simply right click the zip file and extract as I show in the video. Now that you have the files extracted, you’ll want to rename the wp-config-sample.php file to wp-config.php. Once renamed, open the file in a text editor such as notepad. Once logged in to cPanel (reference your welcome email or get hosting from our web hosting review section), you’ll want to find the button labeled “File Manager” and open that. In the popup, Start from “Web Root (public_html/www)” and click the “Go” button. In the actual file manager, find the “Upload” button. Click that and then “Browse” to your downloaded WordPress file from step 1. You should now notice on the bottom right of the screen, a progress bar shows the file being uploaded from your computer to the server. Once the file is uploaded, return to the file manager and click the Refresh button. Now you should see the WordPress zip file uploaded to your website. Simply right click the file and “Extract.” Follow the prompts and it will extract the file onto your server. With the files extracted, you will be left with a “wordpress” folder with all of the files necessary to run WordPress inside. Since you will not want your website to be http://www.mywebsitehere.com/wordpress/ you will want to move these files to the main root. So, double click the wordpress folder and click the “Select All” button. Once all files are blue/selected, find the “Move File” button which will bring up a screen similar to the one above. Congrats. You have now uploaded and placed all of the files required to run WordPress on your web host! Using this method of uploading ensures that no files are corrupted or skipped because we didn’t upload each individual file separately via FTP. Now we need to go back to the file we opened in our text editor from step 3. 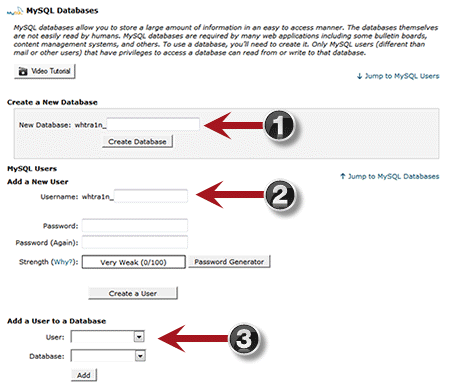 With it open, return to cPanel and find the “Databases” section and click the “MySQL Databases” button. Once the above 2 steps are complete, the “Add a User to a Database” fill show your username and database from above. All you need to do is click “Add” then in the next screen, click the “All Privileges” checkbox then click “Make changes.” What this does is allows your database user to fully access the database to make database changes (for which the WordPress setup process requires). 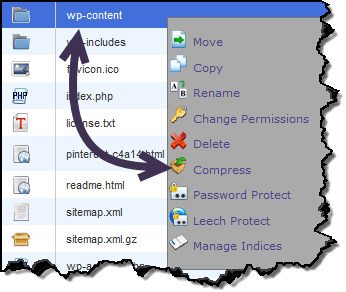 The final step to your wp-config.php editing is to add the authentication keys and salts which will help secure your WordPress installation. Go to the WordPress salt webpage and it will generate unique phrases automatically. Just copy all lines to your clipboard and replace the 8 define lines with the content in your clipboard. Save the wp-config.php. You are done editing this file. The final step is to upload your wp-config.php file to the server. Go back to the cPanel control panel, click File Manager (location Web Root again), click Upload, click Browse, select your newly saved wp-config.php file and begin the upload. 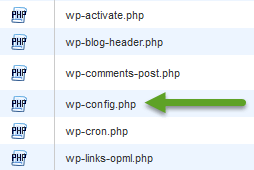 After the file is uploaded, return to the file manager, click refresh and verify that you have a wp-config.php file located along with your other WordPress files as shown in the screenshot. Now your WordPress should be ready for install. Visit your website and you should see a language selection option. Click your desired language, click the blue “Continue” button and finally, fill out the site information including Site Title, login username, login password, your email address and make sure the check box “Allow search engines to index this site” is checked. Simply click “Install WordPress” and the setup will configure your database and prepare your site for first-time use. Congratulations! Your WordPress site is now ready for use. 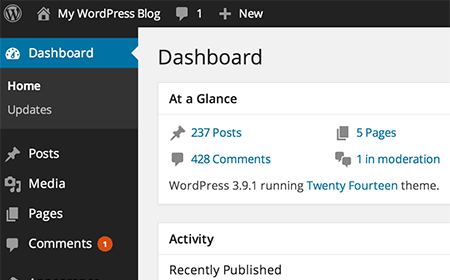 After clicking “Install WordPress,” you’ll be taken to the WordPress Admin Dashboard where you can start configuring your website, add posts, add pages and much more. You may also visit your main website URL and verify that your site is showing default content. At the time of this review, the setup uses the default “Twenty Fifteen” theme. In the coming weeks, months and years, we will continue creating guides to help you get the most of your new WordPress website. We’re going to show you how to change WordPress themes, add WordPress Plugins, teach you how to configure your WordPress and much more. What would you like us to cover here? How did you like this guide? Let us know in the comment section below!